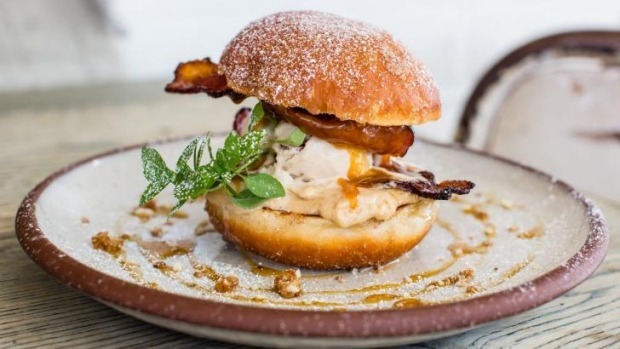 Don't tell the World Health Organisation, but Sydney's bacon festival is on again. And it has everything for pork fans - toothpaste, shampoo and even bacon mints. It will launch with Bacon Brewfest, a one-day event taking place on February 27 at Chippendale's Central Park (with Ambush Art Gallery as a venue), and will continue the next day at Cuckoo Callay cafe in Newtown with a 12-week bacon menu featuring eight ways to get your pork fix - such as carrot cake waffle with cinnamon ice cream, caramelised walnuts, maple bacon and freeze-dried mandarin. Cuckoo Callay pioneered Sydney's first bacon festival last year, selling two tonnes of the cured meat throughout the event. Perhaps someone will attempt to consume as much pork at Bacon Brewfest, where there will be a bacon-eating competition, bacon and beer workshops, and the opportunity to stock up on quirky merch, such as the aforementioned bacon shampoo and toothpaste (if the bacon mints don't do their job). And given the event's theme, it's apt that Rocks Brewing Co will be presenting its smoky new bacon beer. 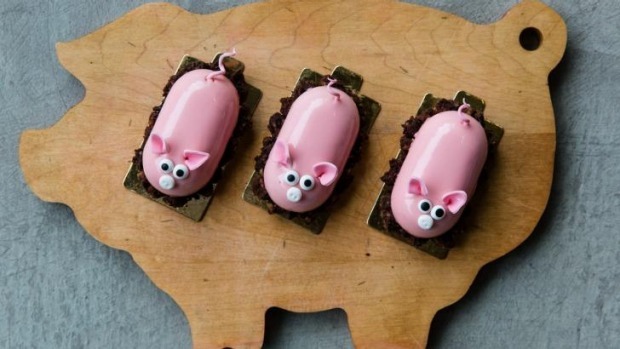 There will also be stalls serving bespoke bacon dishes by Adriano Zumbo, Black Star Pastry, Bovine & Swine and more. 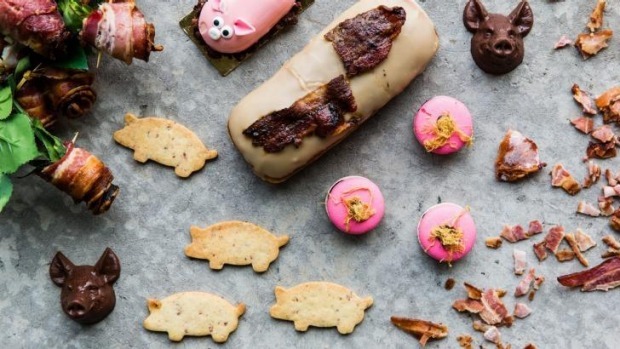 Textbook Patisserie will be baking 'Piggie' cakes, Grumpy Donuts will serve bacon doughnut bars and MakMak Macarons will appropriately garnish its sweets with pork floss. And if your sweet tooth still isn't sated, Anna Polyviou and N2 Extreme Gelato are teaming up to create a one-of-a-kind bacon gelato special, while the Instagram-friendly Aqua S will be swirling up cones filled with soft serve in bacon and beer flavours. Tickets to Bacon Brewfest tickets are available now on Mostix. For more info, visit baconbrewfest.com.au.